Who Murdered Staff Sgt. Amy C. Tirador While On An American Base In A Secure Location? The day before Maj. Nidal Malik Hasan went on a rampage at Ft. Hood and allegedly shot 43 military personnel, wounding 31 and killing 12, there was another “shooting” at an American military base in Iraq which has been treated far differently by the military: the “execution-style” murder of Staff Sgt. 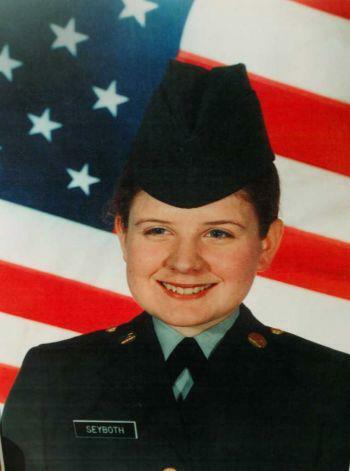 Amy C. Tirador, 29, of Albany, N.Y. at the U.S. military base near Kirkush. On November 6, 2009 the Department of Defense issued a press release on the death of Staff Sgt. Amy C. Tirador, 29, of Albany, N.Y., who, according to the DOD, “died Nov. 4 in Kirkush, Iraq, of injuries sustained from a “non-combat related incident”: Staff Sgt. Amy C. Tirador, 29, of Albany, N.Y., died Nov. 4 in Kirkush, Iraq, of injuries sustained from a non-combat related incident. She was assigned to the 209th Military Intelligence Company, 1st Squadron, 14th Cavalry Regiment, 3rd Stryker Brigade Combat Team, 2nd Infantry Division, Fort Lewis, Wash. The circumstances surrounding the incident are under investigation. For more information media may contact the Fort Lewis public affairs office at (253)-967-0152, (253)-967-0147. This entry was posted in Non Combat Death, US Army, Violent Crime and tagged 2010, Amy Seyboth, Amy Tirador, Gunshot Wound, Iraq, Non Combat Death, US Army by Jennifer Norris. Bookmark the permalink.